Hi! 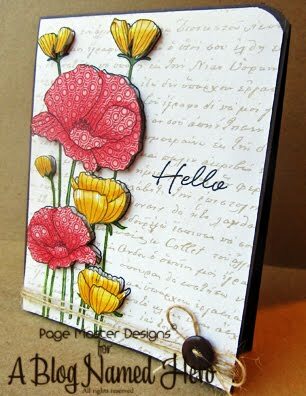 Today I am here with a card that I created for the new A Blog Named Hero February 1st challenge. 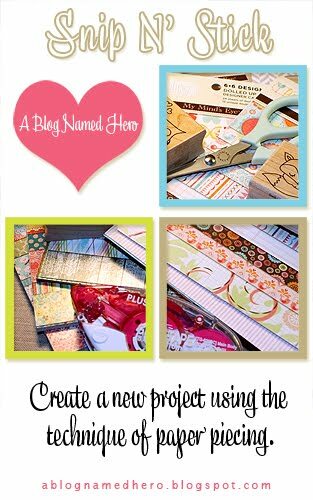 This challenge is all about Paper Piecing! I started by choosing some Echo Park papers. I stamped my image onto the script paper, then I stamped the image again on the red paper and the yellow paper and then cut them out. To add dimension to the poppies I used some Copics to highlight them. I pop dotted each piece before I attached it. I colored the stems in with Copics. Now it's your turn! Go create a paper piecing of your choice. 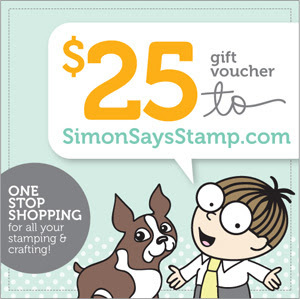 Remember each card gets you and entry to win a $25 Gift Certificate from our wonderful Sponsor Simon Says Stamp. 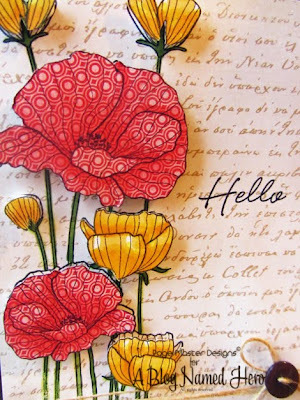 Never thought about paper piecing the poppies. Geat job! Gorgeous card, love the papers you chose. shut up! this is gorgeous! totally fabulous! Tis has to be one of the prettiest cards made with this stamp that I have seen. Gorgeous! I have paper pieced it myself many times but never thought to use more than one colour of poppy but it is such a great look. I spent a great deal of time in your area after my Mom had Open Heart Surgery, in January...it was a rough time and totally unexpected, but happy that she is home and on the road to recovery! !